Social Media is a beautiful thing……. I’ve connected with so many people, women, and adoptive mamas through Instagram and Facebook. I’ve fallen in love with their families and children, with them and their stories so beautifully written on their blogs. It’s a God send and a definite blessing. 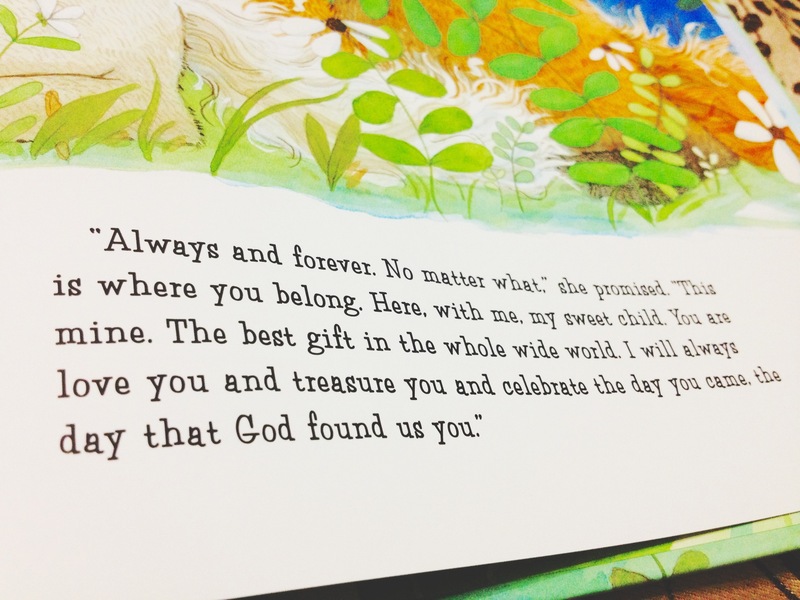 I connected with an adoptive mama via another Instagram friend and came across a page from this book that was on her page. 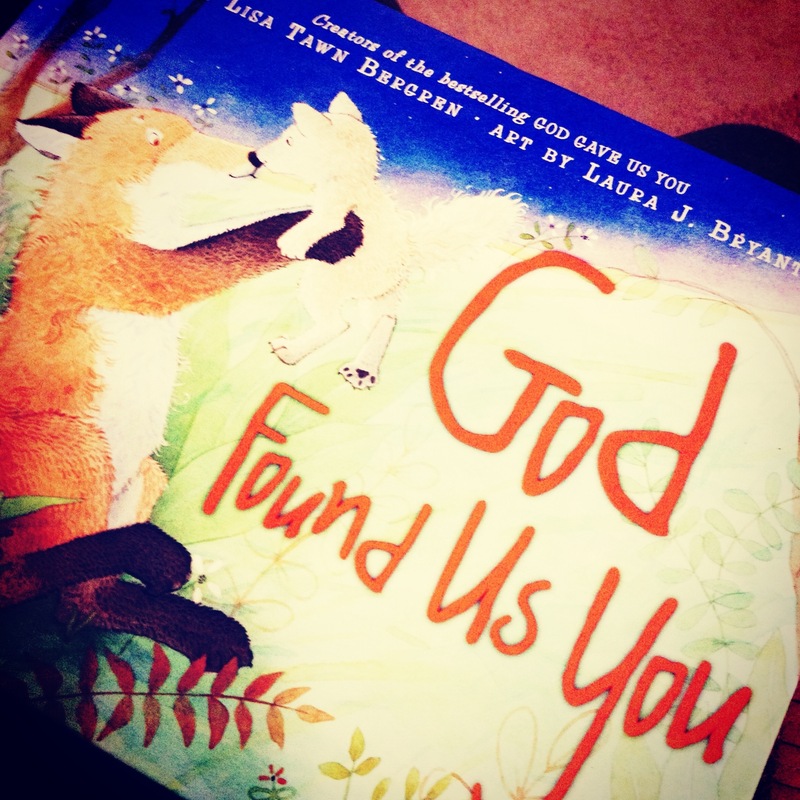 This book tells the story of how Little Fox asks Mama Fox about how we came home. It’s a beautiful illustration of an adoptive mother’s feelings and experiences as she waits for her baby. The little fox asks how everything happened, why he couldn’t stay with his birth mother, and how long he will be with his forever family is perfect. Perfect because they are real life questions and real life fears. His mama answers his questions perfectly. As if she’d never answered these same questions a thousand bedtimes before. Comforting him and filling his fearful heart with security by her gentle and patient responses. I imagine she understands how unsure and scared he could be while simultaneously enjoying hearing about how special he was and how much he was wanted. His questions eluded to him having a place in the world….. If he was someone worth keeping…. And, if she was committed to him forever. …. If his mama ever wanted to give up. …. who his birth mother was. …. How much she loved him. 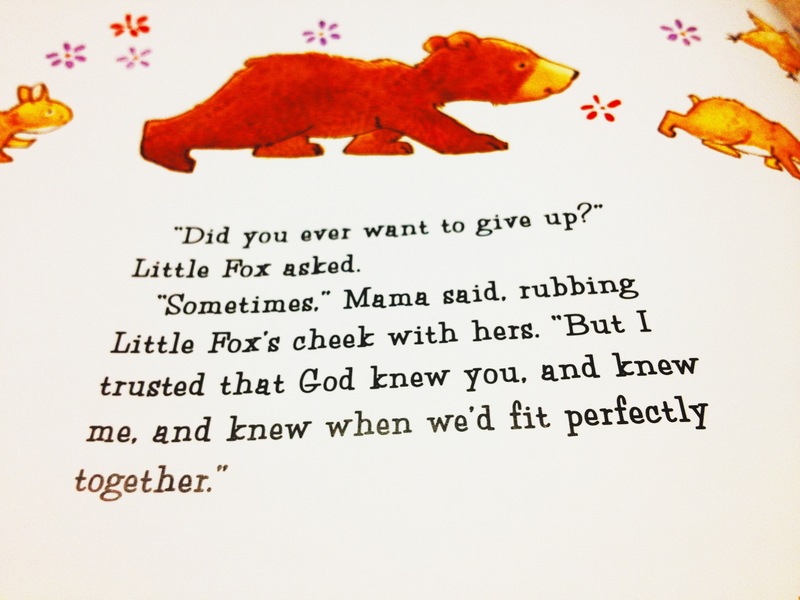 Each and every page of this storybook is my favorite but the fact that the mama fox knew, understood, and found comfort in God knowing when the right time was for her family to fit perfectly together gives me a bit more energy. A bit more confidence that our time will come when God finds us our little one. He knows who s/he is…. Where they are or will be…. And, each and every detail imbedded into our adoption story. And, the timing will be perfect. One day I will be comforting and encouraging a little person who asks me if I will love them forever. One day, I will tell our story every night… Every gotcha day… Every birthday day…. Every chance I get. I love how our adoption story is a testament to the love God has for his people and the so parallel to our salvation stories…. How in teaching our child about their adoption, we will be teaching the Gospel…. How it will give us so many opportunities to teach equality and a love for people…. How it will give us another opportunity to teach how God expects us to do for others what He has done and does for us. I love how far it has brought my husband and I. How it’s challenged our beliefs and tried our faith and patience. I’m grateful for every step. Thankful that we’re moving on along. That very soon will be ready to “go live” on our agency’s site. Ready to be chosen. Ready to bring our baby home. God is good and knows exactly what He’s doing…. He dots His eyes and crosses His t’s. God is working on finding us the perfect little fox. To bring into our home. Someone who doesn’t look like us but will eventually look like Him if we stay bound to our Father. Which is the ultimate goal. I’m excited…. Getting antsy…. Ready to know the who, what, when, where, and why. We wait. 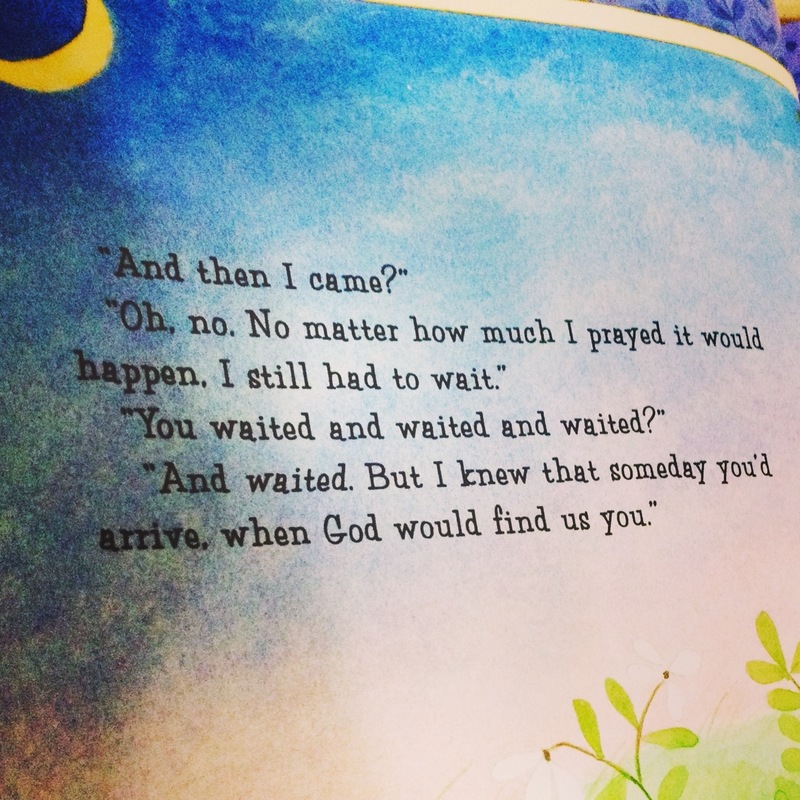 And, wait, and wait. A smile and a peace knowing that soon all of this will be but a sweet memory.